MILAN - Again about the conference, I'm adding details to the previous posts. 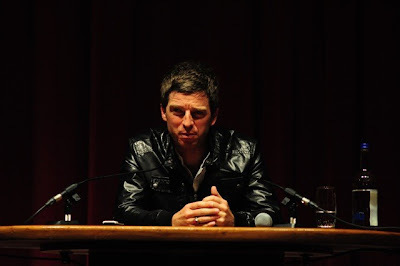 I didn't like what Noel said today about Pretty Green. He always said that rock music influences the look, the style... music is fashion too. But today he said he even wanted money for Pretty Green. At least he admitted it can be difficult for him without Liam, while Liam doesn't need him. As first impression, I think I will still prefer Beady Eye to Noel solo. But first impressions are often wrong, as when we disliked Bring the light, and then loved it.